Adopting a new technology solution for your firm is a big decision. It is rarely, if ever, cheap, and often you are spending money on modernising traditional practices that have worked perfectly adequately for years. A fair and welcome question from our discerning legal customer base. Return on Investment – and Return on Information – are critical for any law firm. It’s a calculation that has presented a challenge to managing partners and IT departments for some time. How can you leverage information to not only reduce cost, but actually gain a competitive advantage? As someone who has worked in technology sector for many years helping global firms asses their technology solutions, I know there is much more than just ROI involved in a purchase decision. However, it’s still a data point worth considering and, to put it simply, the ROI for Encompass is compelling. On average, and assuming its used for just four matters per month, Encompass could generate a monthly return on investment of more than 400%. Customer studies have found Encompass reduces time incurred on commercial search and review activities by as much as 70%. 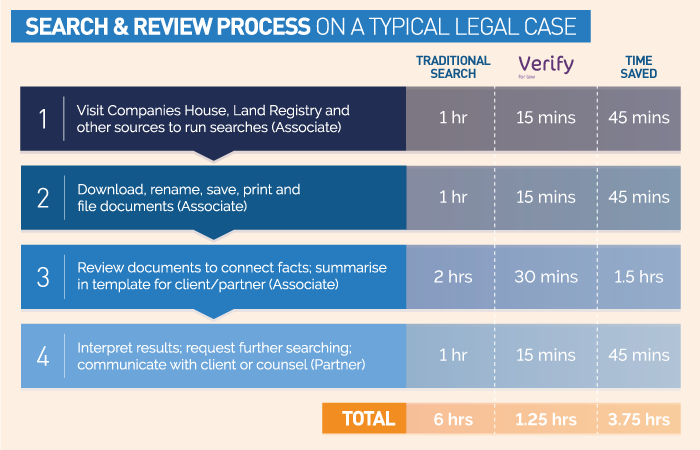 In other words, research that would have previously taken a full day, can now be completed before lunch, enabling you to make faster decisions and get on with more cases. Banking and Finance Law – Conducting security reviews for a banking client. M & A Law – Reviewing corporate structures to verify and present information on group structures, parent companies and ultimate beneficial owners in a potential acquisition. 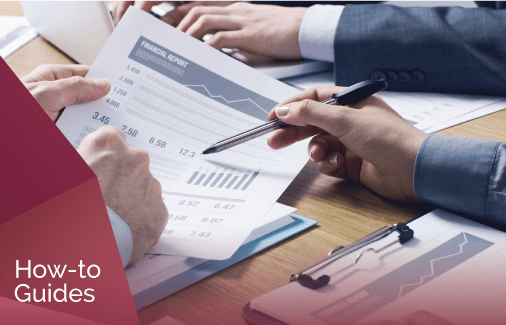 Corporate Law – Understanding current and resigned Directors of a company and their historical conduct as part of due diligence in order to give corporate advice on a proposed partnership. Insolvency Law – Investigating a target to understand if litigation is a worthwhile course of action in a legal insolvency matter. Property Law – Find and value real property for a developer who is planning to sell part of their business. Consider the process on a typical case of moderate complexity. So, how do you justify technology investments in your firm? 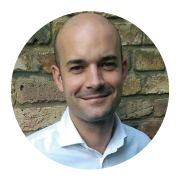 Mike was the Senior Business Development Consultant at Encompass, and has over 15 years experience in business development and client management spanning telecoms, recruitment and, more recently, data and business intelligence markets. He spent the last four and half years working for a leading corporate financial health and predictive analytics company, and has experience dealing with a wide range of IP clients.